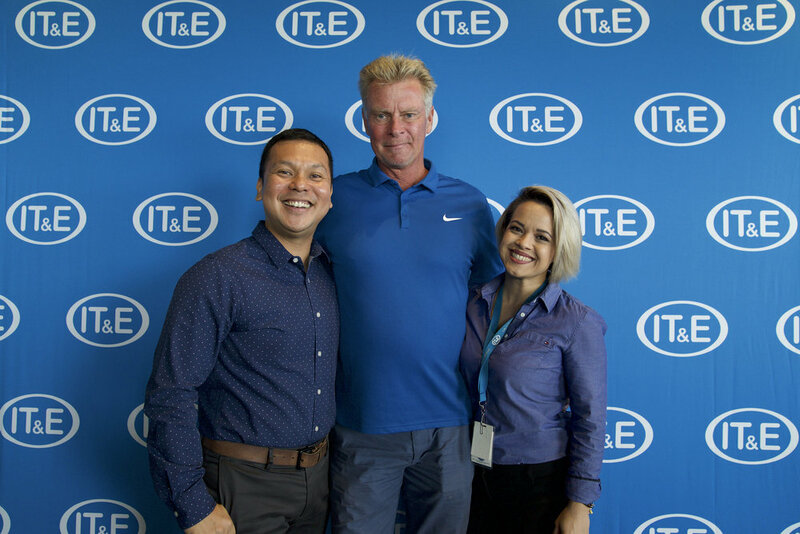 HARMON, Guam — IT&E today announced it will be embarking on a new journey with changes to its branding. The new branding includes an updated tagline and redesigned visual identity. With “Explore Your World” as its new tagline, IT&E encourages consumers to use technology to live their best life by discovering, or rediscovering, the extraordinary in everyday life. This exciting call to action is highlighted by a compelling visual identity that encourages customers to explore their surroundings. The new IT&E visual identity also features a modern interpretation of the Latte Stone to signify the shared culture of Guam and the Marianas and the company’s commitment to the community. The IT&E logo and signature blue color remain the same. The silver frame represents a window to the future and our promise to bring the latest technology to our customers, while the blue represents the company’s commitment to the community. "The new brand re-energizes our image and at the same time reinforces our continued commitment to the community and our core values. From here, the public can look forward to future projects we have planned that will improve customer experience and bring the most advanced technology to Guam. Along with a new tagline and visual identity, IT&E is introducing new products. The new Device Payment Plan allows the cost of a device to be paid across 3 or 6 easy monthly installments. Unlimited 4G LTE data is now a permanent offering. The unlimited plan, called Freedom, is complimented by Guam’s only stack-able unlimited plan, called Freedom+. Customers can now add as many as 2 lines to a current or new unlimited plan for just $50 a month for each line. To celebrate the launch of our new brand, local rock-reggae band The John Dank Show composed an original song entitled "Explore Your World". The song expresses the spirit of fun and exploration. The re-branding falls on the 10th anniversary of PTI Pacifica Inc.’s purchase of IT&E Overseas Inc. in 2008. 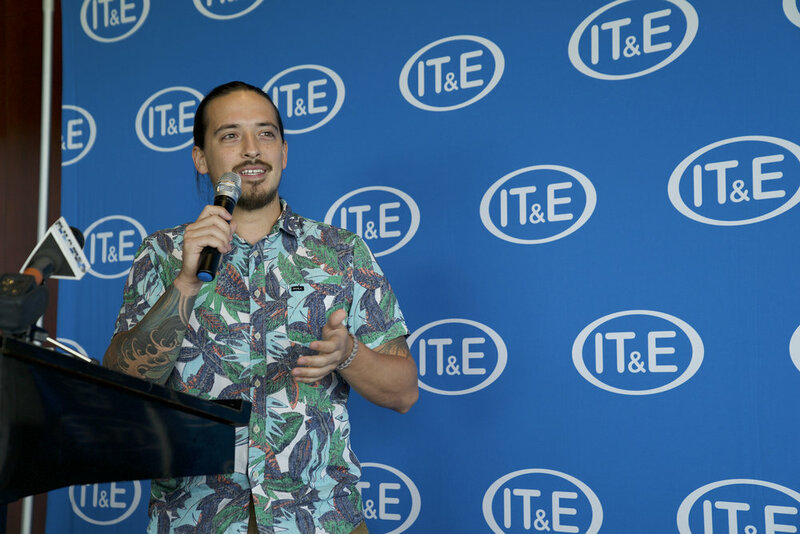 Today, IT&E serves more than 90,000 subscribers on the widest 4G LTE Data Network in Guam and throughout the Marianas. IT&E leadership announce rebranding. (From left) Danny Daniel, senior manager of brand and public relations;Jim Oehlerking, CEO; and Angela Rosario, director of marketing product development. Frankie McJohn, lead vocals and rhythm guitaristof The John Dank Show, describes the creative process behind the band's original song, "Explore Your World." IT&E revealed its new tagline, "Explore Your World." The official tagline and visuals will officially launch on April 26.